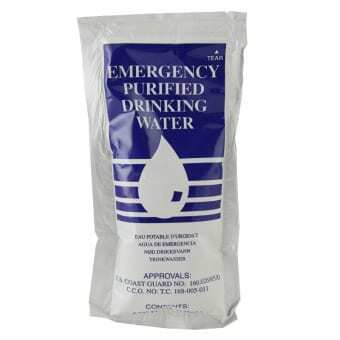 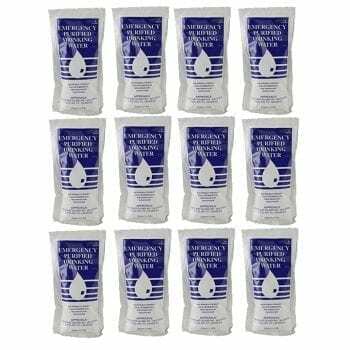 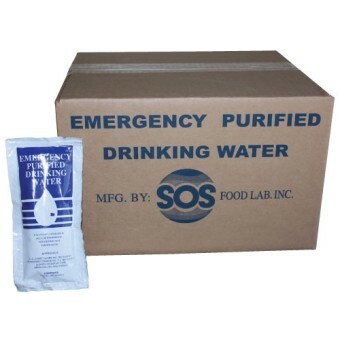 Premium Emergency Drinking Water in Half-Pallets! 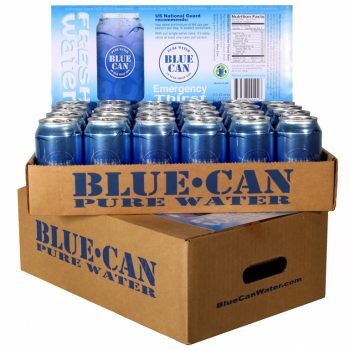 Be prepared with emergency canned water that has a 50 year shelf life. Yes, you read that right...50 years! 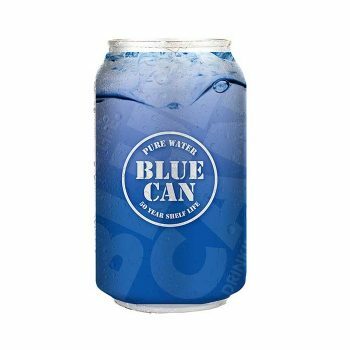 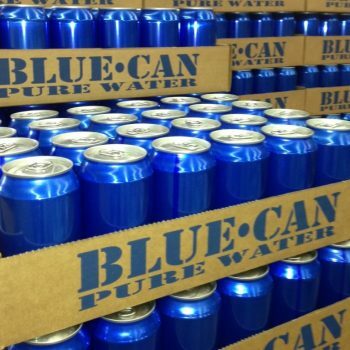 Blue Can water comes in 355 ml (12oz cans) packed in flats of 24 units. 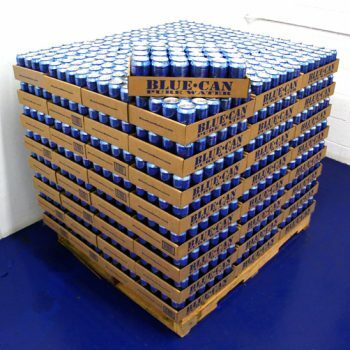 There are 50 flats in a half-pallet (1200 cans or 426 litres).